I originally designed this pattern for a customer when I use to sell finished items. Since they decided to go in a different direction, I decided not to let all that work go to a waste and wrote up the pattern for you guys! 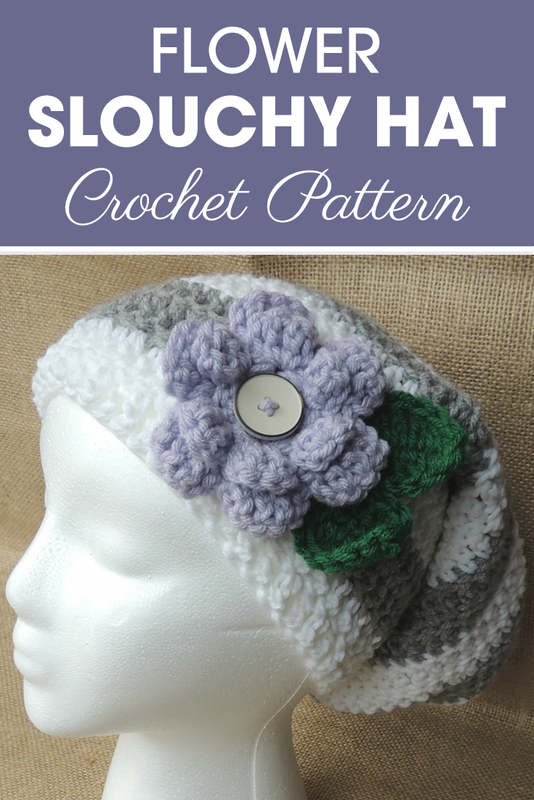 The Flower Slouchy Hat Pattern has been a huge hit since then. 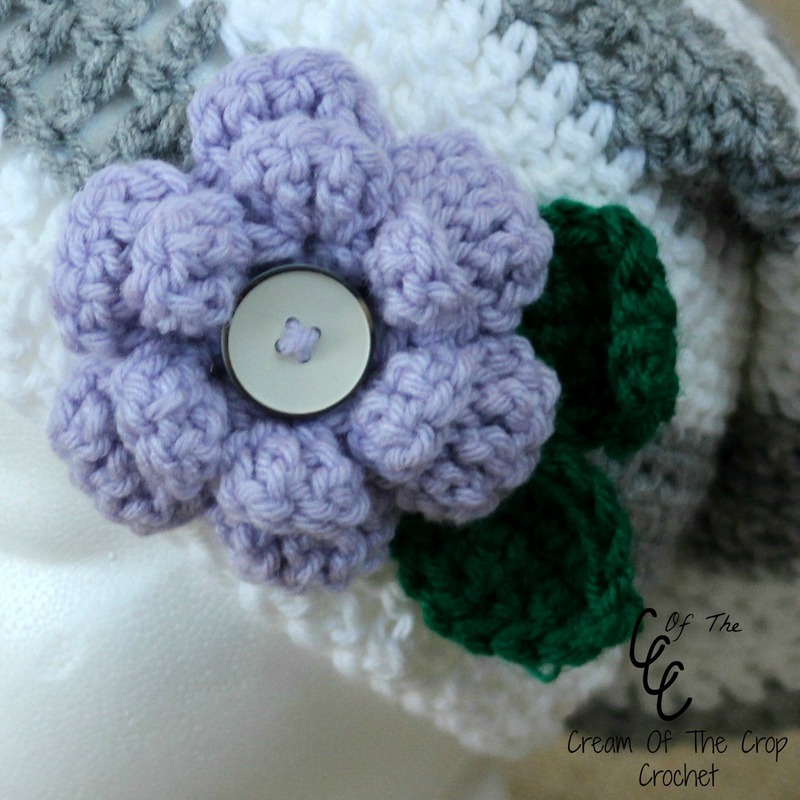 This pattern uses worsted weight yarn, an H-8 (5.00 mm) crochet hook, and a 1″ button for the flower. Can you tell I love buttons? I have a huge stash – maybe I’ll show you guys sometime. Anyways, back to the pattern. Sometimes it can be hard to see, but this pattern contains post ribbing for an added effect. This is the first pattern I made color changes with, and I love how it turned out! Pay attention to the middle of the pattern where it states you can make the slouchy a bit shorter as well. You don’t want to make a lot extra rows, then decide you want it shorter. I hope y’all enjoy! ALWAYS start in the same stitch as chain. ALWAYS join in the first stitch of the row, NOT the chain. In the amount of stitches you should have at the end of the row, (11 sts). The count does include the chain. *This is written in American Crochet Terms. Attach the flower to the side of the hat with purple yarn and a yarn needle. Then attach the button with purple yarn (or thread) and a yarn needle (or small needle). Next attach the leaves under the flower with green yarn and a yarn needle. Pattern and photo © 2014, Cream Of The Crop Crochet™. All rights reserved.